Heron Lake is approximately 1.5 acres with 20 well spaced level platforms and has a depth of 4-9′. 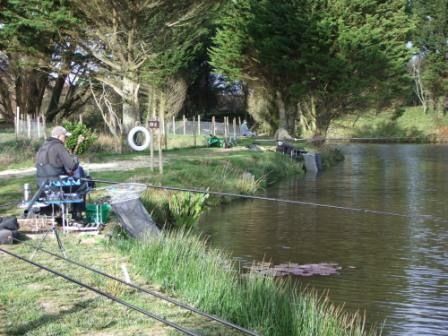 It is very well stocked with lots of Mirror and Common Carp up to 14lb, the average being 3-4lb. 100lb nets have been regularly caught in matches on this lake. There is an island in the middle which is planted with Gunneras, around the island is a sunken ledge which makes a good fish holding feature. If your looking to catch hard fighting carp and have some experience this is the lake for you.